The Greater Palm Springs Area is a retirement destination. At Cabinets of the Desert we want to help our Clients to enjoy their retirement life longer, more fully and in style by suggesting the subtle incorporation of “aging in place” design features into their remodel project. The typical American home is designed for able-bodied young adults. But as the baby boom generation ages, boomers are looking for ways to make the typical home accommodate their changing bodies. They want this done as invisibly as possible and without loss of the style and comfort they currently enjoy. Many designers and remodeling contractors are responding to the challenge and Cabinets of the Desert will play its part. This response is rooted in the Universal Design movement, also called “design for all” or “inclusive design,” where the concept is to make homes and furnishings function well for almost everyone, regardless of age, size, shape, or ability. So our senior population now has reason and the resources to comfortably and safely stay in their own home rather than go into Assisted Living or a nursing home. different purposes, both make useful contributions to the cause of aging in place remodeling. The features we have listed below are organized for reference and to help our clients think through their own requirements. Every feature is by no means all applicable in every case. Rather these are menu items and food for thought for people considering an aging in place remodel. Larger panels (or sub-panels) to accommodate new appliances, medical devices, lifts, etc. Use of drawers rather than cupboards where possible. It may be that you are thinking of aging in place for yourselves or have an elderly family member to care for. 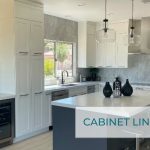 We at Cabinets of the Desert offer these aging in place suggestions for your consideration and discussion with your general contractor or interior designer/architect.